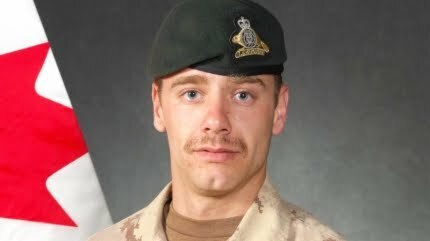 It is a sad state of affairs when the 155th Canadian Forces death in Afghanistan, first death of a CF in 2011, and first death of a CF in three months, is not even front page news. Corporal Yannick Scherrer of the 1st Battalion, Royal 22nd Regiment died on March 27th, 2011. Panjwaii, a longtime Taliban stronghold just 35 kilometres outside of Kandahar, has been a focus of Canadian involvement for at least 5 years. Corporal Scherrer's death serves yet another reminder of the dangerous nature of NATO operations in Afghanistan even in supposedly secure areas. The 155th CF casualty came just one day after the Governor General David Johnston declared a Federal election. One. Day. Yet it, and the Afghan mission Canadians are tied to until 2014, remain out of election rhetoric as the two major parties square off on the economy and the middle class taxpayer. Talk of the inflated cost of F-35s and minor dialogue about the CF role in Libya remain fringe elements of the 2011 election. What do we represent as a nation who places their 155th CF casualty on page A7 of a major city broadsheet newspaper one day after an election is called? What do we represent as a nation who can only produce two federally-elected officials who are willing to publicly and formally denounce the dictator regime of a Middle Eastern country? It is evident this record-long war in Afghanistan has numbed the Canadian media over the past 10+ years to the point of no longer caring. And at that point, we as citizens of this country and the values it stands for, have unknowingly absolved ourselves of any responsibility or accountability overseas even to our own military personnel who have dedicated their lives to the service of their country. Very sad. Sadly when wars drag on like this the media stops reporting on the deaths. The best thing we can do for our troops is bring them home. I can't imagine what they have gone through.